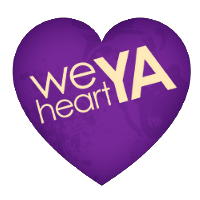 We Heart YA: Why are there so few siblings in YA literature? Why are there so few siblings in YA literature? This question has nagged at me since, well, since I was a teenager. 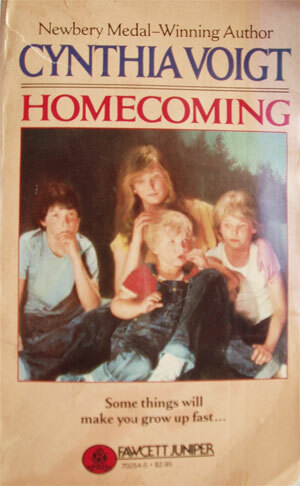 Growing up (as the youngest of five), I noticed a huge lack of “sibling” books on YA shelves. Whenever I stumbled upon a MC with more than two siblings, I would buy the book on the spot because I desperately wanted to read books with characters like me—kids with brothers and sisters around all the time! Finding those large-family books was a rare occurrence then, and still is today—even with the increase in young adult titles overall. 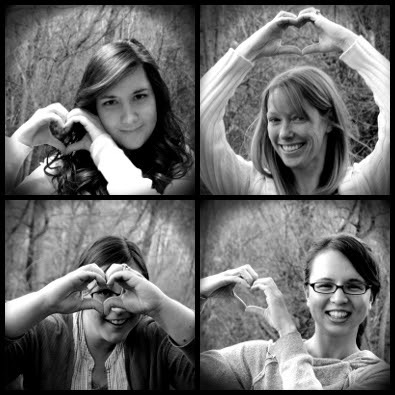 Even though statistics say that only about 24% of US families are single-child families. There are obvious reasons for a MC to be an only child or to have just one sibling— for simplicity in plotting and to keep word count manageable. But what do readers miss out on when the families in books don’t reflect their own experiences? I’ve faced this issue as a writer as well as a reader. One of my protagonists has three older brothers. During revisions, I considered cutting one of the brothers in an effort to cut my overall word count. Ultimately, I decided to keep all three—not out of sentimental attachment, but because they each serve a unique purpose in relation to the MC and are essential to the family dynamic. Have you noticed that the majority of YA protagonists seem to be only children? How do you feel about it? Know of any great books where the siblings are fleshed-out characters, or books that delve into sibling relationships? Would you like to see more books featuring large families? I love books with siblings in them (Key to the Golden Firebird by Maureen Johnson is great, for example), but I can see how having a sibling around might make some plots too complicated. It's bad enough that there's all these cases of the disappearing parent; introducing a sibling and then not having them around for much of the book would be even worse. Amen! I loved this post! 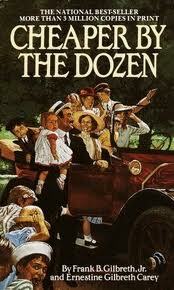 Cheaper by the Dozen was always one of my favorites. I totally want more Weasleys. I've noticed that they're either only children and usually orphans. I can't honestly even think of any that I've read where siblings play a major role! Someone should remedy this situation. For some reason, even though I have siblings, most of my protagonists are only childs. That's just my preference. I think it does come down to making the book more simple, cutting out those extra characters... or putting the character in a situation where they're more likely to glomp on to a new friend or love interest, because there's no one else around for them. As an only child I guess it doesn't bug me as much, because they're reflecting my own reality. I do, however, love books with larger families. 'My Life Next Door' comes to mind as a recent book with a massive family, and the author does it so well -- you just fall in love with the family. There there's also the Elemental series by Brigid Kemmerer... I love those 4 brothers like crazy, and it's fun how she's writing each book with a different narrator. Sara-- ooh, I'm putting that M. Johnson book on my list! Yeah, extra characters can certainly make novels more complex, whether it's siblings, friends, etc., but I love reading about all those different relationships. 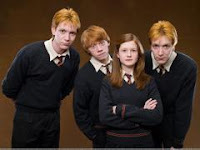 Word Hits-- Yay, more Weasleys! Margot-- Lots of onlies and orphans out there, true. You know, I just thought of another book that does a great job with siblings- Sarah Dessen's JUST LISTEN. You really get a sense of the MC's relationship with each of her two sisters, even though one is already out of the house. Kristan-- lol, I couldn't remember if it was you or Sarah! It was certainly worth considering, but I'm glad I kept all 3 brothers in as well. And, yeah, that's pretty much how it was growing up-- lots of fighting and chaos...and laughter and fun. Chihuahua Zero-- fair enough. My protagonists have 3 sibs, 0 sibs and 2 sibs, respectively. I guess it really depends on the story you're telling. Ashley-- Thanks for the recs; they sound right up my alley! Ingrid, it was me who suggested "combining" siblings. And I'm pretty stubborn so that still stands. However, I LOVE your passion and your drive for siblings. You might win me over yet. Two of my manuscripts have siblings, but one is a much older brother that's more like a parent and the other is super, super close. They're best friends. I love Harry Potter. I wonder if the writer also used a word counter for her books. I think it's because you want to almost isolate your MC. If they have no one to turn to then it ups the "oh noes" quotient a bit for a dramatic ending. If you can run to a sibling to understand your parents/run interference so you can save the world/ect then it sort of downplays the immediacy and the aloneness of the MC's plight. Andria-- I think you're absolutely right about the stakes being higher when the MC is "alone." Definitely makes for a more dramatic triumph. However, I also really appreciate novels in which the MC learns that it's ok to ask for and accept help-- like in real life. Thanks for all the great comments, everyone! Huh. I don't think I've ever actively thought about this. Personally, I think I prefer books with only children, because that relates to my own experience. I have a harder time reading books with siblings because I don't relate to that relationship. Thanks for bringing this post to my attention! I completely agree. I think it's "easy" to write about only children, because they tend to have overly involved parents who plan everything for them, and that's a trope in YA. I also think it's common for protagonists to have one sibling who is either away at college or too young to be anything more than cute window dressing in a story. I long for more books with supportive and active siblings!